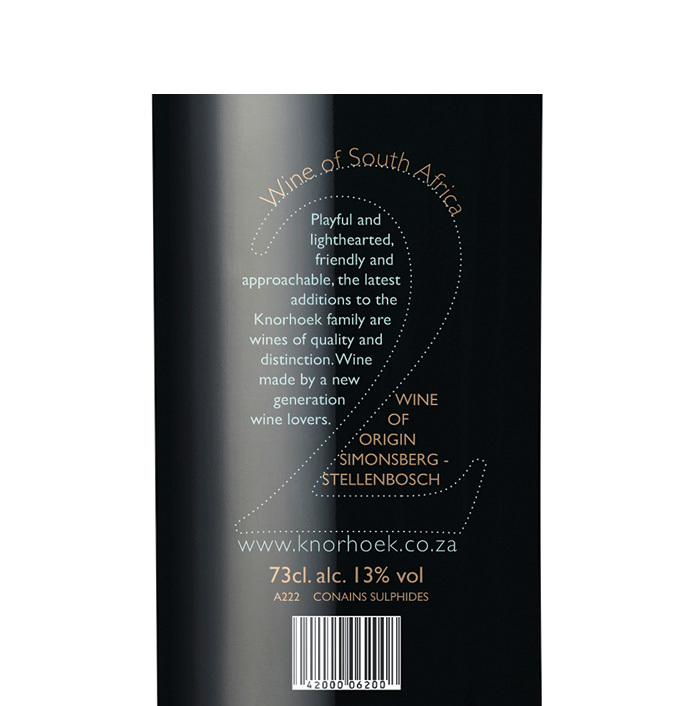 The van Niekerk family own Knorhoek Wines. Leopards feature on all the labels and Two Cubs is a small set of wines within the range, appropriately named so after the two brothers who run the winery. It is sold mainly off-trade in South Africa but also exported to the UK and Netherlands. It is an easy drinking, laid back wine, affordable yet classy. 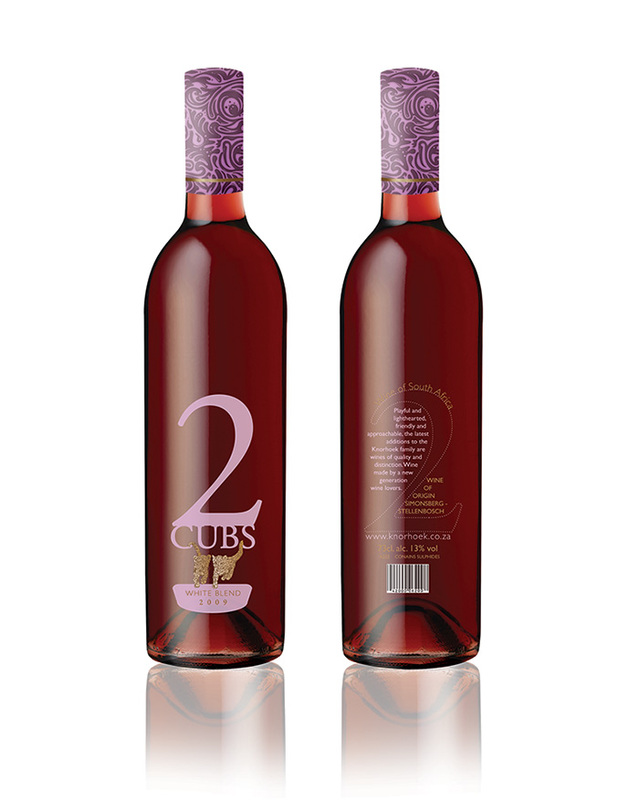 The owners wanted this expressed in the label re-design and for Two Cubs to appeal to forward thinking young women. I wanted to keep it as clean and modern as possible whilst maintaining the leopard theme and wine’s unique visual identity. The numerical ‘2’ creates a great curve and overall effect and the pattern is feminine but resembles a leopard print. The clubs are illustrated but if executed would be gold foil on the label adding dimension and class to the minimalist look.